Like new Monterra home is conveniently located in the heart of Minden. 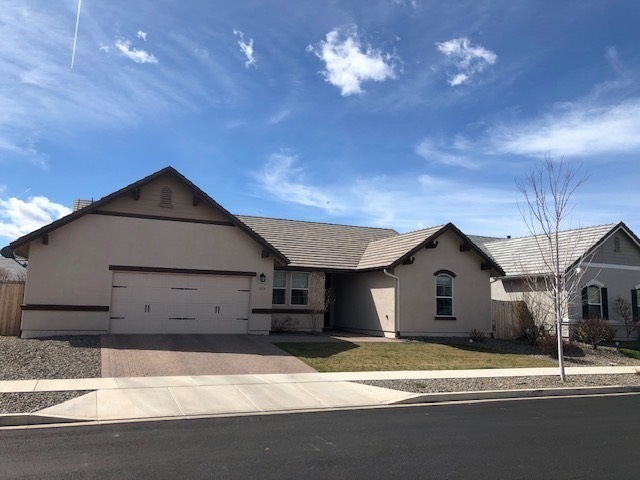 Close to schools, restaurants, doctors, etc... Well maintained interior features open floor plan with high great room ceiling, fireplace, central A/C, solid granite kitchen counters and stainless appliances. Low maintenance stucco exterior with tile roof. Fully landscaped. Views from the great room, kitchen and back yard. Garage is an over sized two car. Attic access with lighting is ideal for extra storage. This home still smells new!